For the 2013 Grassroots Festival, the Moksha Family Arts Collective has been invited to create the Moksha Experience. This will be a multi-media showcase of local art, music, performance and creative interaction. We will feature, World, Dub, Downtempo, Chillstep, Moombahsoul, Psybient, Glitch Hop, Acid Jazz, Liquid Funk, Jamtronica & more! All performers are no stranger to the Sonic Alchemy of Musical Magic and are sure to treat your ears, hearts & feet with Mind Expanding Grooves. If you buy the limited tickets from Moksha Family for the same presale price as Grassroots Festival, you will get a Moksha wristband that will give you special benefits, treats and surprises. PVM’s Nauti bus will be there! You can’t pass up camping on Virginia Key for 4 days! 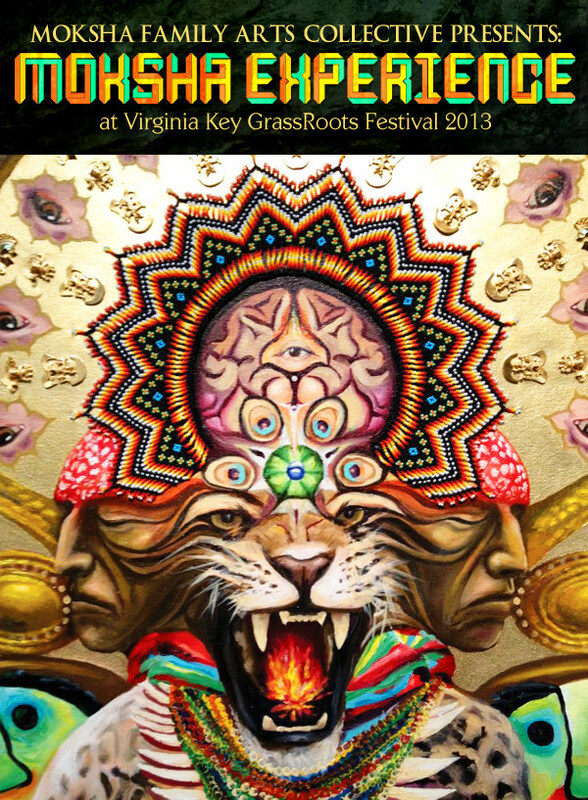 Available Now – 4 DAY TICKETS to The Virginia Key Grassroots Festival at reduced prices + Moksha Bonuses! CALL for Tickets 305-757-7277 .